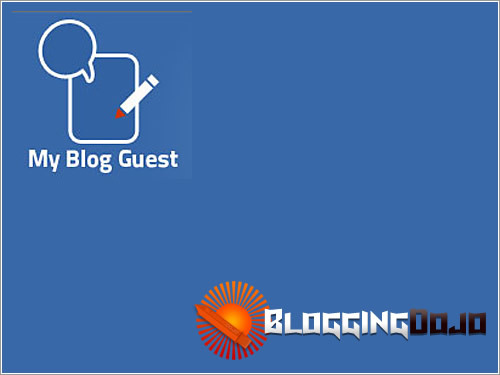 I am delighted to announce that Blogging Dojo is now accepting guest posts via the world’s biggest guest posting network – My Blog Guest. My Blog Guest, run by Ann Smarty, is the de-facto place where to go when you want to find a blog to help promote your website. Previously, I’ve been a bit apprehensive about receiving guest posts on this site, however as I am now a lot more receptive now I’ve sorted a few things out. It must be useful or newsworthy – have a tip to share with our readers? It must have at least one image or a subheading. Just to break up the text. In return, you get a great link from a great blog, and regular guest posters will also get an Author Plus Enhanced Profile. Interested? Please submit your posts to My Blog Guest, and then contact me! I have also installed the My Blog Guest WordPress Plugin from 3 Door Digital as well, so I will be posting articles on an ongoing basis now.